When people in the UK mention the ‘hole in the wall’, they are usually referring to a cash machine or ATM. 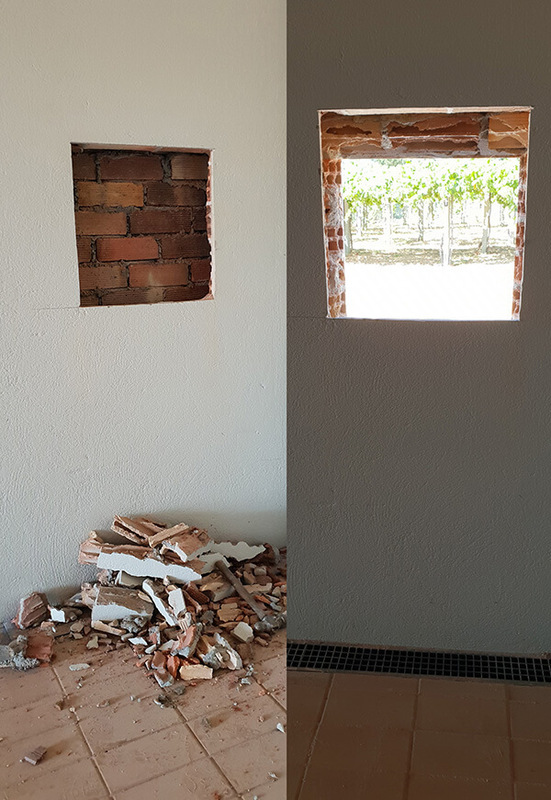 Unfortunately the hole that we have just made in the wall of our grape reception does not dispense cash, but it will still serve an important purpose during the harvest. The questions we now ask ourselves are – is it at the correct height, is it the correct size, will it work? So, what is it for? I can hear you asking. Well, unfortunately I’m not going to tell you…. not today at least. I will only say that it will accommodate a new piece of kit (due to arrive any day now), that will significantly improve the efficiency of our harvest (we hope!). Vamos a ver – Let’s wait and see!